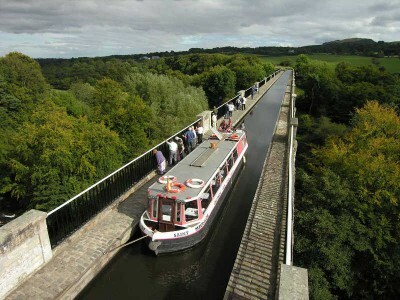 Enjoy a 2½ hour cruise aboard one of our 40 seater boats ( Saint Magdalene or Saint Michael) from the canal basin in Linlithgow to the Avon Aqueduct, which carries the Union Canal over the River Avon. The Avon Aqueduct is the longest and tallest in Scotland and the second longest in Britain, after the Pontcysyllte Aqueduct in Wales. Tea or Coffee and biscuits are served on board. Points of interest along the way are described in the Aqueduct Guide which is provided for your use during your trip. 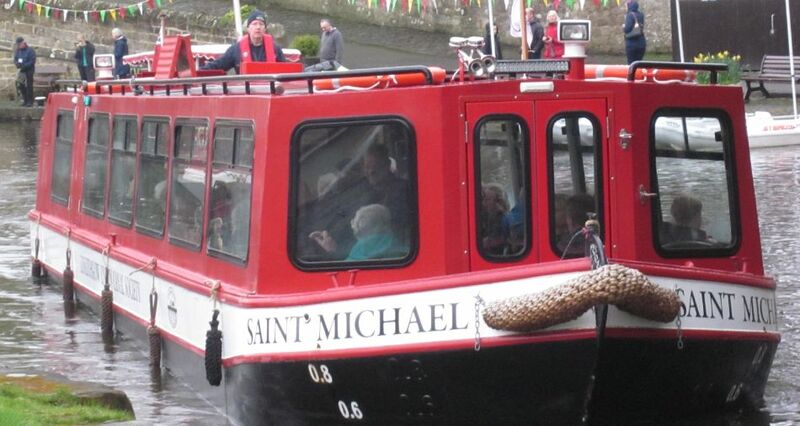 The cruise departs at 2 pm, returning about 4.30 pm, on Saturdays and Sundays between Saturday 6th April till 29th September 2019. There are no weekday Aqueduct Cruises. Prices: Adult £10.00, Concession £8.00, Child(aged 5 to 16) £5.00 (No booking required). Aqueduct cruises are available both on a turn up and go basis and by advance bookings made on-line. Please note that LUCS cannot accept Credit or Debit Card payments from turn up and go passengers. Passengers who have pre-booked are requested to report to the museum at the canal basin by 1.40 pm. After this time your booking cannot be guaranteed as it may be offered to a standby ‘turn up and go’ customer. In such cases you will be offered a full refund. N.B. There is no Aqueduct cruise on Sunday 18th August 2018 (Canal Fun Day). Also places on Aqueduct cruises are limited to 12 on our Falkirk Wheel trip days (26th May, 30th June, 28th July and 25th August). For this reason, there is no pre-booking of Aqueduct cruises on these dates. Information about this Cruise is contained in the Aqueduct Cruise Guide. Some of the places on Aqueduct Cruises can now be booked in advance, securely paid on-line by credit card or debit card via PayPal. Please use the LUCS Booking System to make your reservation. Gift Vouchers: If you are thinking of a novel present for Christmas, a birthday, an anniversary or any other occasion, LUCS can provide gift vouchers for Aqueduct Cruises and Town Trips. 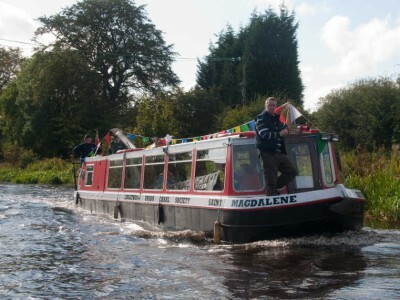 The gift voucher can also be used for the hire of Victoria or St Magdalene with a driver and crew and the hire of the self-drive boat, Leamington. To make an enquiry please contact LUCS at – bookings@lucs.org.uk.